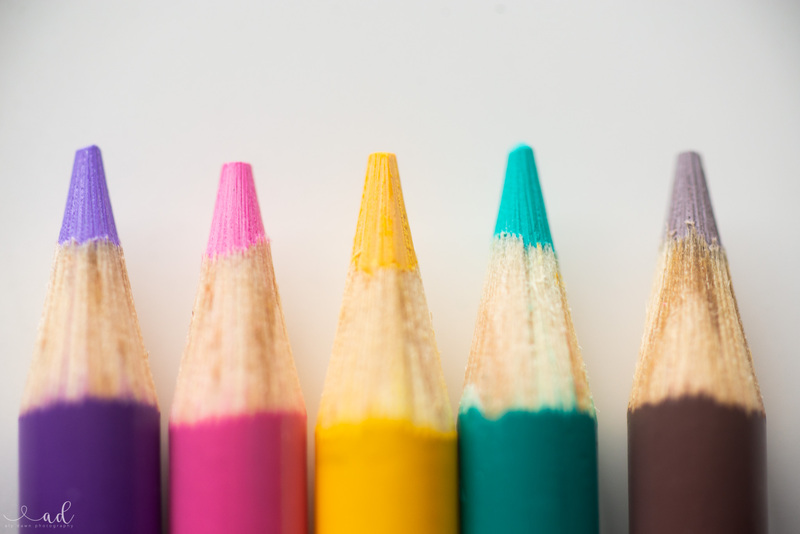 Have you heard of Canva? Oh. My. Gosh. I love Canva so much. I use it for all of my blog’s graphics. It’s so easy to use and the free version is all I need! Although, the paid version does have some nice features, I just don’t see a need to upgrade to the paid version yet. 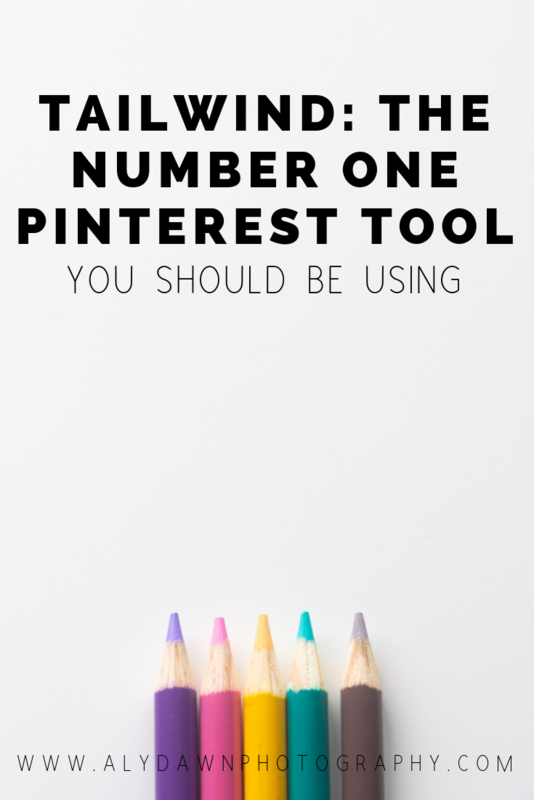 Canva is great for creating Pinterest graphics and pinnable images. 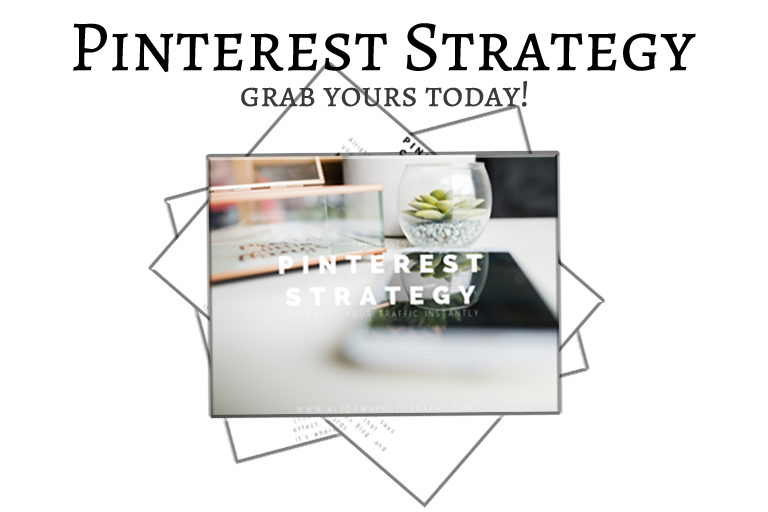 If you want to be successful at advertising your blog on Pinterest then you need to make sure you have a pinnable image on each blog post. 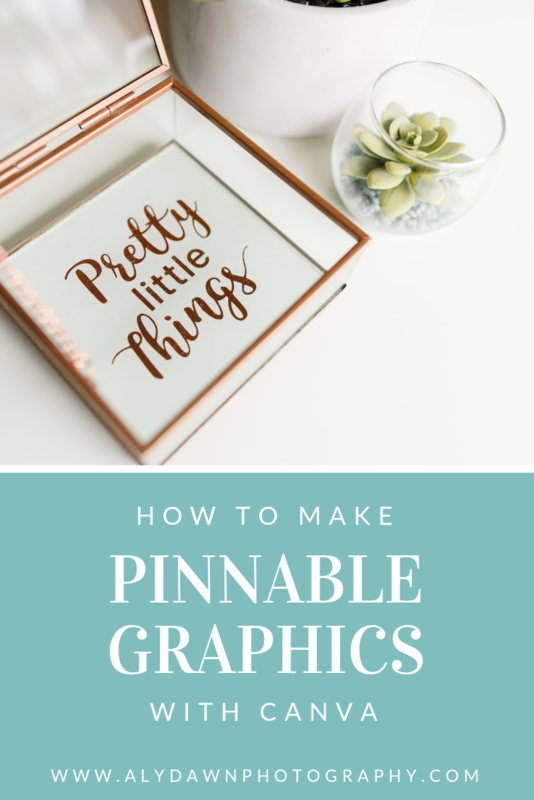 If you’re interested in learning what a pinnable image is and how to make one, then stick with me! See the image right above this text? That’s my ‘pinnable’ image for this post. Notice how it’s long and vertical? That’s the perfect size for Pinterest. Pinterest images need to be vertical instead of horizontal. You want to make sure you always have a vertical image to pin to Pinterest. So, there are some other programs out there you could use. 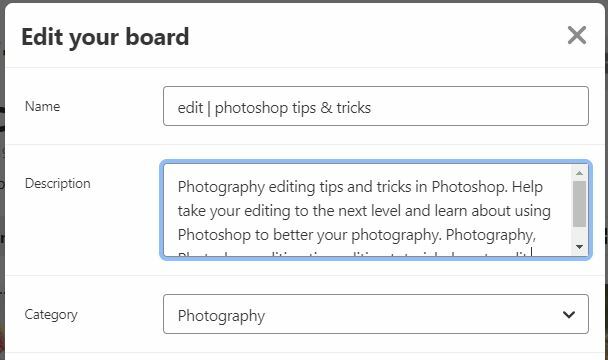 You could even use Photoshop to create your pinnable image. But I have found that Canva is the quickest and easiest free program to use! I really like the features it offers and how quickly I can get my pinnable image made. Time is money! Since I’m really bad at explaining things without showing you an example, I made a quick video for you to follow and learn how to create a pinnable image in canva. I tried to make it short and sweet! Just so that you get an idea of how to use canva and then create your own designs in canva. 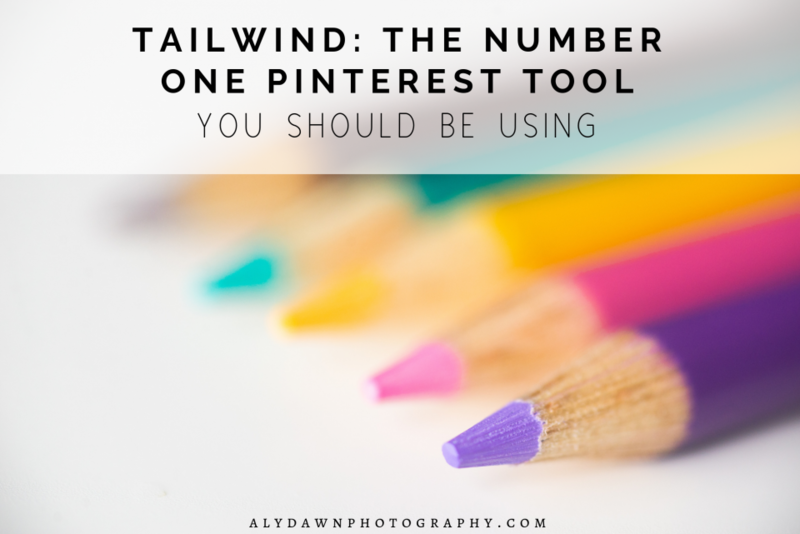 So, you’ve gotten really good at creating and designing your Pinterest graphic…great. But now you might be wondering, how do I get beautiful images for my graphics? You can go about this different ways. One way is to learn how to take pictures. My blog that you’re reading right now has some nice photography tutorials, browse around! You might learn something. Another way is to use stock images. I would recommend learning photography. You don’t have to have a fancy camera to get good images for your blog. You can use your iPhone or Andriod and get good images. I’ve seen tons of bloggers do that. Photography is very important for your blog. So it’s not just a matter of writing excellent content, but also a matter of making your images look as professional as possible. This really takes time and practice. Don’t get discouraged. Take images for your blog, and as you get better with photography, update your graphics for your posts. You should be updating your blog anyways as you learn more and become more experienced. So I’ve been on Pinterest for over a year now. Pinterest followers has been the hardest thing to build up. I get tons of page views and repins, but I don’t have a lot of followers. But I recently changed the way I approach this and the result has been awesome! I was able to get about 100 followers on Instagram in less than a week. I was floored! It might not seem like a lot to you, but it’s a lot to me. Where before it took me about a month to get 10 followers, if I was lucky. 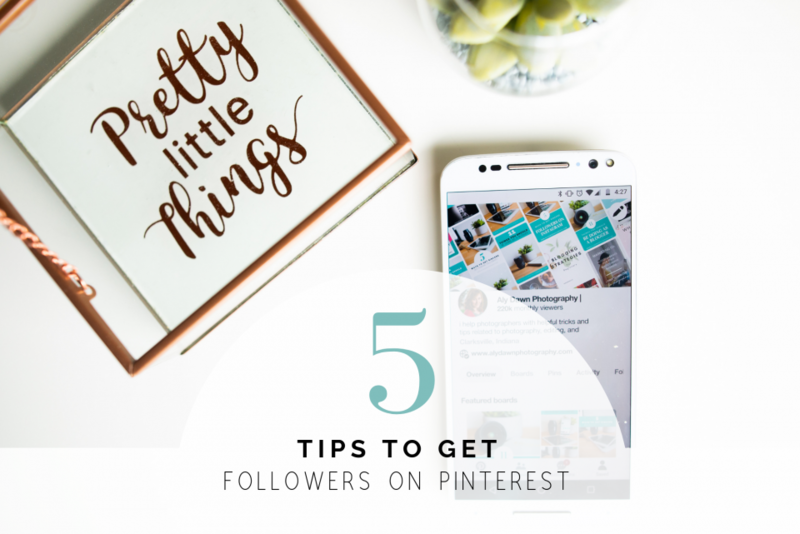 I’m excited to share with you my 5 tips to get followers on Pinterest. And best yet? These tips are all free. 🙂 That’s something I love to hear. Because, let’s be honest, blogging can be expensive when you are first starting out. Now, I want to put a disclaimer out there: these tips are not going to get you thousands of likes overnight. In fact, you’ll be lucky if you get 5 followers overnight. But stick to them, and it will eventually pay off. I promise. 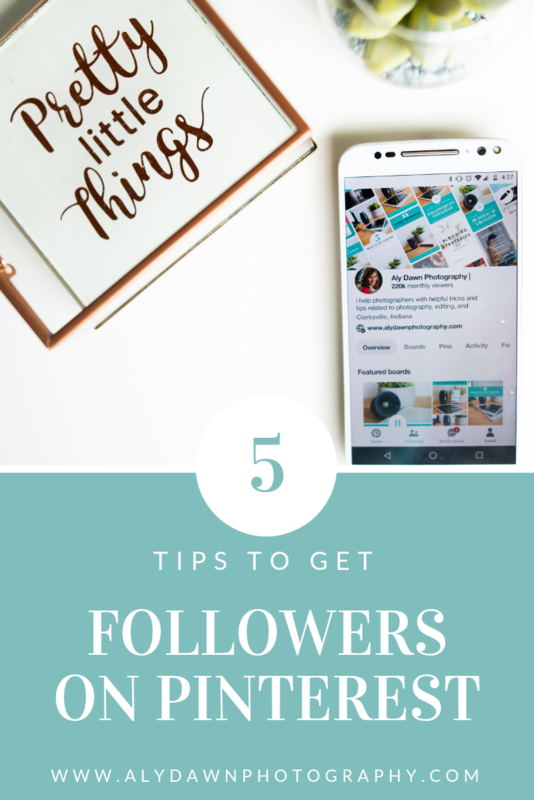 Tip #1 is to follow those pinners you want to follow you. I love to go to a big influencer in my niche and see who is following them. Then, I follow those people! It’s obvious that these people are following that big influencer in your niche for a reason: probably because they like what they are pinning and are interested in that specific topic. 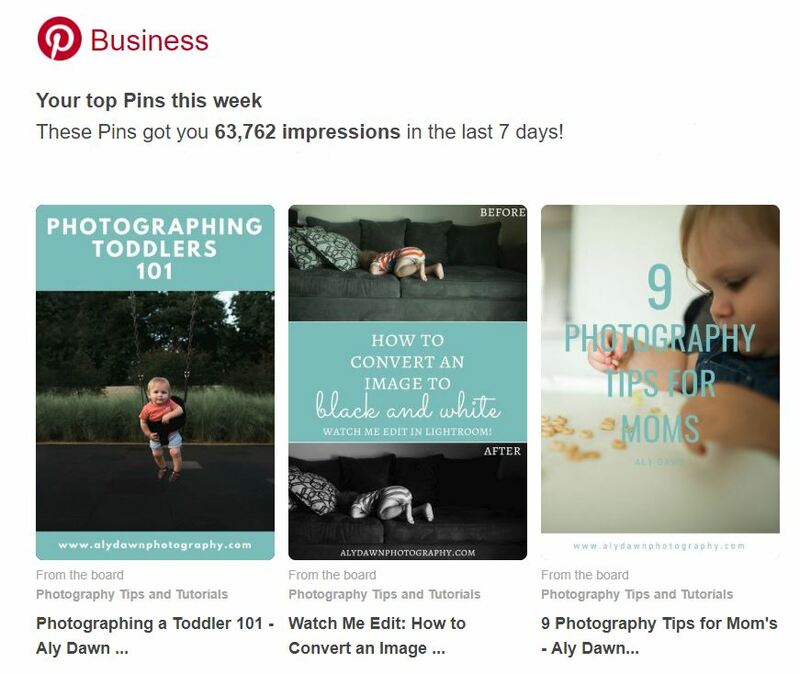 Think about the typical person on Pinterest: what are they doing? They’re searching specific topic and pinning to try for later. Right? So your best bet is to follow the type of people that are interested in your specific topic. That’s why I love finding someone big in my niche to follow their followers. For me, I am there to help photographers better their photography. A big person in my niche would ClickinMoms. I go to their profile and search through their followers. I like to look for mom’s and other photographers to follow on Pinterest. By doing this one simple trick, I’ve gained 50 followers in less than a week – I think that’s a win. Let me know how your results were! So the whole point is to try to get your name out there a whole lot. You want to repin pins that are relevant to your niche from the people you just followed. This will cause your name to pop up in their notification bar. Meaning they’ll see your name more and possibly follow you. Pro tip: Don’t just repin any pin, though. You want to make sure it’s relevant in your niche and to your boards. I wrote a killer article about group boards that you should check out. 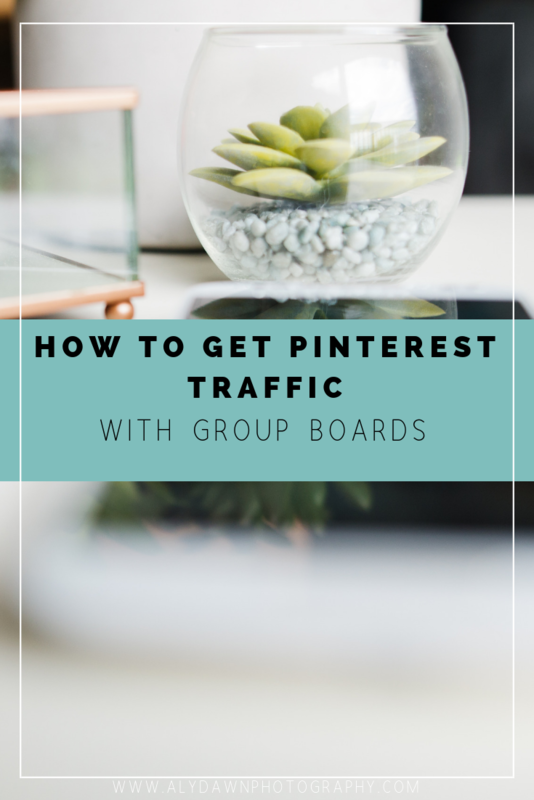 But, essentially, joining Pinterest group boards will help get your content seen by those who follow the group board. This is excellent in not only getting repins but also getting followers. 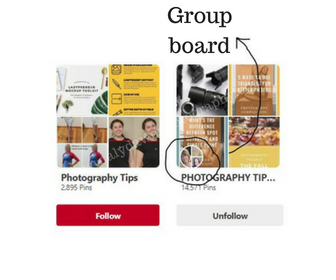 If you’re interested in learning more about group boards, check out the article I wrote on how to join group boards. 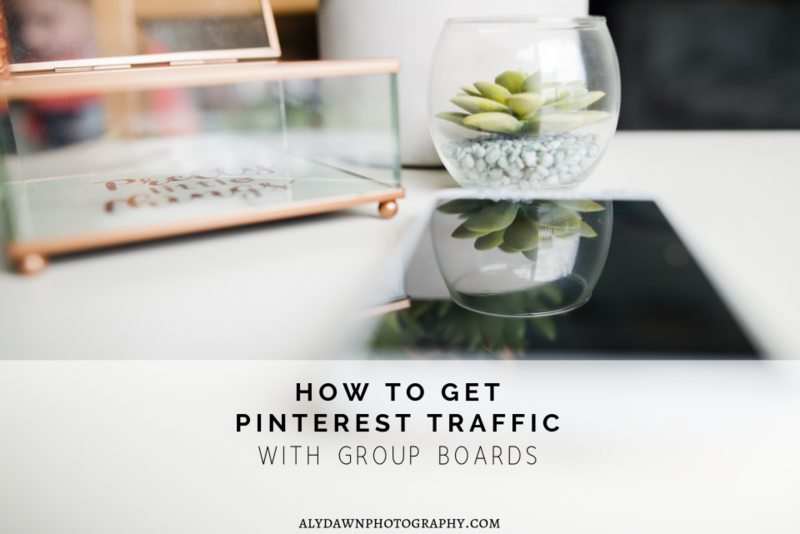 Pro tip: Join group boards that are specific to your niche! If you are a photographer, don’t join a group board for Arts and Crafts, join a group board for Photographers. Make sure it’s niche specific! And then pin your pins to these boards. Don’t have pins or need help making pinnable images? 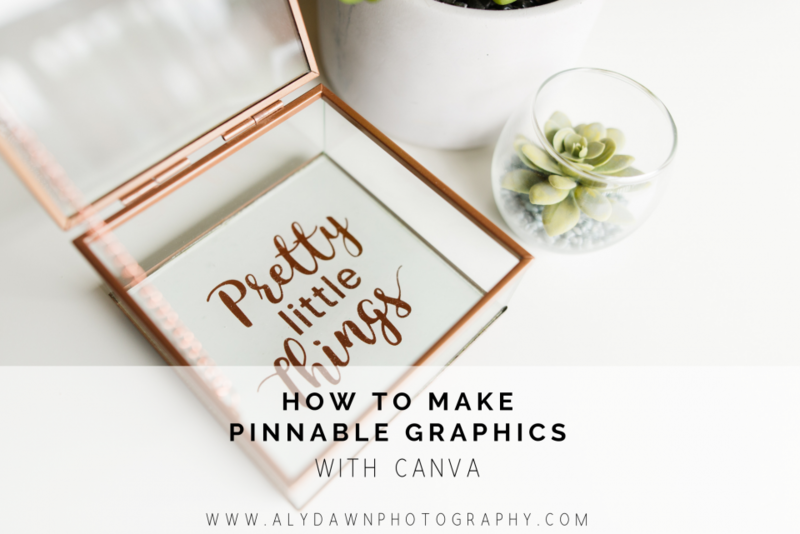 Check out my blog post how to create pinnable images in Canva to get started. This feature is great. You can edit your board descriptions by going to that board and clicking on the pencil icon to edit it. Then add what category it is for and write a nice board description filled with some keywords. By editing the board descriptions, this helps get your board seen and hopefully gets you more exposure and in time, more followers! Don’t forget to include some keywords, though. You want your board to pick up the right type of followers and not just anyone. So make sure your description describes exactly what your board is all about. When you pin a pin from your website, make sure to update the description with keywords that will help get your pin seen. This is totally similar to the tip above, but keywords are so important in your Pinterest profile. It’s even beneficial to put keywords in your name and profile description. I was so shocked when I learned about this tip. And since putting keywords literally everywhere my Pinterest profile has picked up so much traffic. I was literally blown away with my results!! If you haven’t already, be sure to follow me on Pinterest. I post about helping photographers learn how to edit, shoot, and even blog better. So if any of that sounds intriguing to you, then go ahead and follow me! As always, if you have any insights and if any of these tips helped you, please let me know! I love to update my blog posts based on what my audience needs. I seriously love love love (did I mention, love?) Instagram. Instagram is so addicting. I sometimes have to remind myself to put my phone down and not get sucked into the awesomeness that is Instagram. Now, I am no expert at getting followers, I’m probably a complete noob. But, I have been taking some notes for the past couple of months on when I get the most followers. 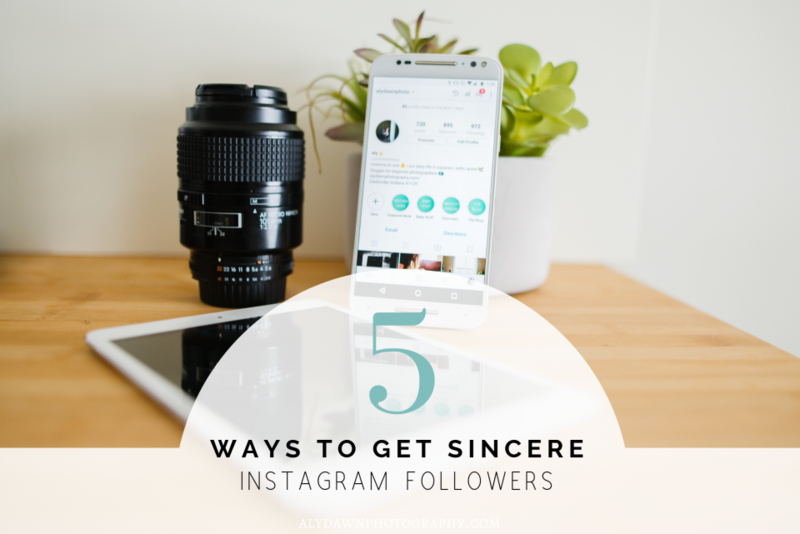 Also, if you’re new to Instagram, sincere followers can sometimes be hard to come by. I want to discuss my approach to Instagram and what has worked for me. As well as advise against certain things. So, if you’re ready, let’s get started. Ok, so there’s this thing called an Insta-bot or something along those lines. DO NOT fall into the trap of these bots. They get you likes, yes, but they are not sincere! 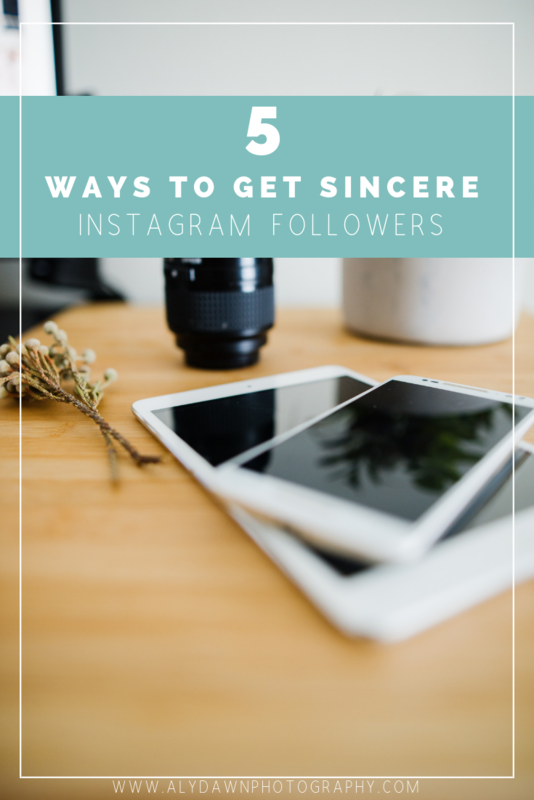 What I mean by sincere is people who are actually excited about what you post. I have quite a few of sincere followers, and I will take one of them over 10,000 likes from those bots. Seriously, my sincere followers make my day everyday. They are the ones who comment and like every single one of my posts. Yes, that’s right. I have followers like that who love me. And you should, too! So, when I say sincere followers, I really mean people who actually care about what you’re posting, and people who follow you for you, and not for another like. Alright, now that that’s off my chest, let’s get down to business!! 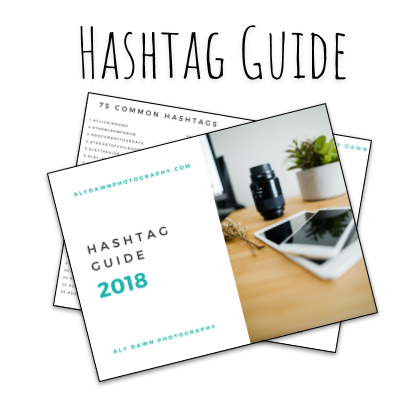 If you’re interested in having a nice long read about Instagram, this book, Instagram Marketing: Social Media Marketing Guide is a great source of information. It also has excellent exercises for you to do to help grow your following and also how to market your brand on Instagram. I highly recommend it. 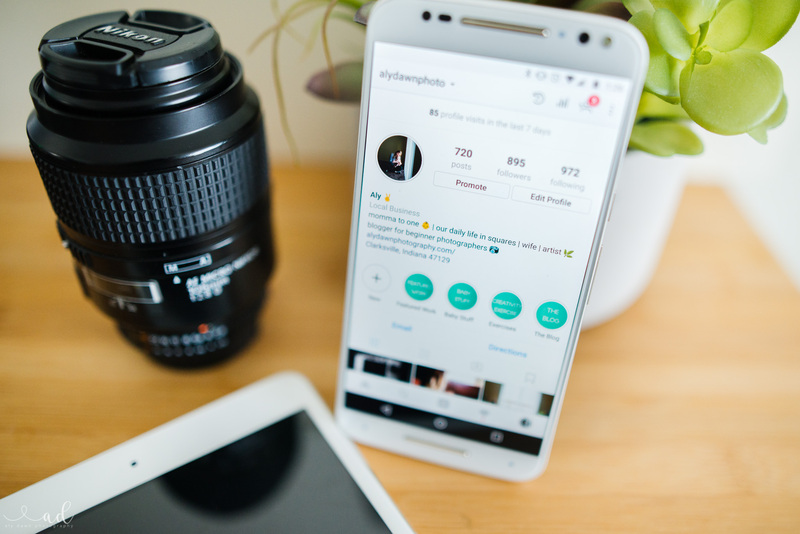 Read from the experts: I am no expert, so if you’re really serious about growing your Instagram, please check out this great post by Neil Patel Instagram Marketing 101 – psssst! It’s free. I’ll walk you through how I’ve been able to grow my Instagram following slowly but surely. These tips do work, but they take time and patience. Let’s get started. You don’t have to post everyday, but make it a goal to post every week. Set up a schedule and stick to it. Your followers will start to get used to how often you post and anticipate it. So, if you’re all over the map and posting whenever, weeks apart, it might be hard for people to want to follow you. Pick a schedule that works for you. Test out different things. Say one week, post everyday and see how it affects your following. Post 3 times a week and see how it affects your following. Play around with it. For me, I decided that daily works best for me and my followers. Sometimes I skip a day, but for the most part, I try very hard to post daily. I cannot stress this enough. Consistency is very hard, though. You have to work really hard at it. What I mean by consistency is your images look the same. If you like the moody pictures, try to always post moody pictures. If you tend to like the light and airy pictures, post light and airy. You could even go so far as to only post one genre of photography. For example, you could only post macro images. I tend to go with my style being consistent. I am a moody picture type of gal, so I try to make sure all the pictures I post to my Instagram are moody. That doesn’t mean all of my pictures are moody, per se, but all the ones I post to Instagram are! The worst thing ever is seeing an image that you absolutely adore and then clicking to go to that person’s account and none of their images look like that. That doesn’t get you followers. I typically don’t follow someone if their work is all over the place. I am looking for consistency in the people I follow. This is hugely important. If you post an image, you should be comment and liking at least 100 other posts. Yes, that’s right. You can’t just expect people to see your account from posting one image a day. And posting more than once in a day can turn people off (I’d say that should be part of your experimenting, how many times a day should you post?). When I post an image, I always put hashtags on that image. After I post, I go to one of those hashtags and just stroll and like and comment. Here’s the catch, don’t just like and comment on every image you can possibly see. Be a sincere follower! Comment on images that make you stop in your tracks! Like those images that you enjoyed. If you didn’t enjoy the image, don’t like it. And then if you find an image that is absolutely amazing, go to that person’s account and see if you like their account. If they have images you’d like to see on the daily, give them a follow. As well as going in and looking at images from a certain hashtag, also make sure you like/comment on the people you follow. Be a sincere follower to them, and they might just return the favor! I can’t stress this tip enough! So I did a little experiment this past week. I’ll get to that in just a second … before I started getting serious about building up my followers, I wasn’t very consistent (oh! There’s that word again!) with replying to the comments I received. I didn’t like replying right away, so I thought, oh I’ll just wait a day or two before I comment again. Ok, fast forward to now. I did an experiment where I replied to a comment as soon as I saw it pop up. And you know what? I actually got more comments/likes on the image where I replied right away versus an image I didn’t reply right away. Perhaps that image was just better, I’ll never know for sure. But it definitely got me hooked to replying as soon as I can. Here’s the deal, when you reply to a comment, it shows that you really do care about your sincere followers. And if you have sincere followers, you better care about them! They make Instagram fun. 🙂 Trust me. Remember, one post can only have 30 hashtags, so you want these hashtags to be as relevant as possible. By following these tips, I’ve been able to grow my following by 400+ followers in just under 2 months. That might not seem like a lot, but trust me, for Instagram, it is! If you following these tips religiously, I can promise you sincere followers. *Since these pictures were taken, my IG has gone from around 895 followers to 1160 followers! It’s been under a month. THANK YOU! And if you don’t follow me already, head on over to Instagram and give me a follow. I post my lifestyle pictures there and often times tips and tricks. What is something you’ve done to see lots of Instagram growth? I’d love to know in the comments below!